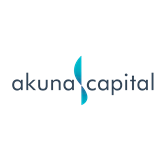 Akuna Capital is a young and booming trading firm with a strong focus on cutting-edge technology, data driven decisions and automation. Our core competency is providing liquidity as an options market-maker – meaning we provide competitive quotes that we are willing to both buy and sell. To do this successfully we design and implement our own low latency technologies, trading strategies and mathematical models. Akuna Boston opened in the Fall of 2015. The team is comprised of a small group of Quant Developers and Researchers who are focused on building a world-class data and research platform. The team also collaborates with other Quant and Trading groups on projects that encompass data collection, statistical analysis, and strategy optimization. Want to get notified about new jobs at Akuna Capital?